It has become the best selling plug-in crossover in the world. Is the Mitsubishi Outlander PHEV winning by default, or is it earning that sales title? 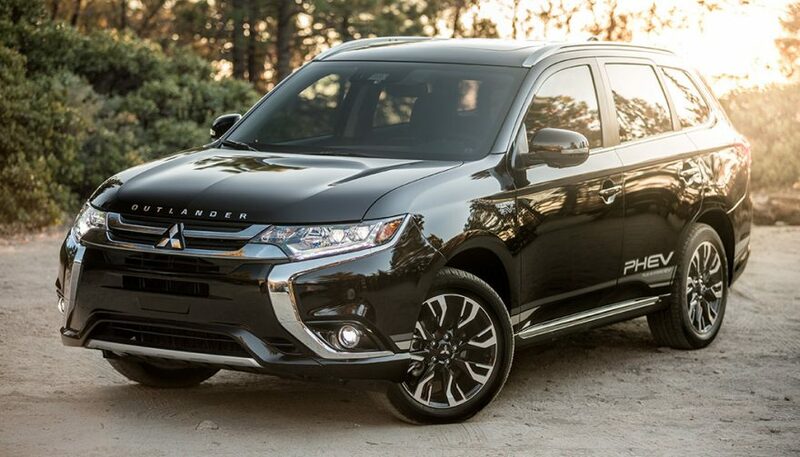 Mitsubishi’s Outlander Plug-In Hybrid has become the best selling plug-in crossover in the world. Full EVs included. But it’s also the only affordable plug-in SUV for sale in most of it. So is the Mitsubishi Outlander PHEV winning by default, or is it earning that sales title? Let’s take a look. The Mitsubishi Outlander PHEV was first unveiled in 2012 at the Paris Motor Show. At the time, it was somewhat revolutionary. There were still very few EVs on the market, and there were only a scattering of plug-in hybrids. Even Toyota’s Prius plug-in hadn’t yet started sales. The Outlander boasted a 2.0L gas engine, coupled with an electric powertrain derived from the one powering the i-MiEV. The gas engine puts out 117 hp and 137 lb-ft of torque. Hardly impressive figures. But the two electric motors each deliver 80 hp. That’s one in the front and one on the rear axle. The front motor has 101 lb-ft of torque and the rear 144. The company doesn’t tell you what the power total is, but it’s enough to move the Mitsubishi Outlander PHEV around with not exactly sports-SUV enthusiasm, but adequate acceleration for a compact crossover. The drive modes are impressive. It can operate as a series hybrid, where the engine just makes electricity and the motors take care of all of the forward motion. In Parallel mode, the engine and the motors all combined to handle moving the Outlander, and, of course, EV mode. In EV mode, the Outlander still offers up four-wheel drive. That includes a button to lock the four-wheel drive. Since it even works in all-EV mode, it’s not really locking anything mechanically. Instead, it’s making sure the computer sends power to both axles even if one of them is spinning. The battery is a 12 kWh lithium-ion pack that runs at 300 volts. That’s enough juice for about 22 miles of all-electric range. Rather uniquely for a plug-in hybrid, it can charge on not just standard household power but also 240V Level 2 charging stations. That lets you top up the battery in a much shorter time. As little as 25 minutes to get an 80 percent charge, compared with 13 hours on a home charger. Once the battery is run down, the EPA rates it at 25 miles per gallon. But on short to mid-range trips, fuel economy is 74 MPGe combined. Impressive numbers if you’re not making 100-mile trips every time you get behind the wheel. You might have noticed up above that I said the Mitsubishi Outlander PHEV was unveiled in 2012. It took a few more years for the automaker to bring the car to market. In North America, at least. It was supposed to arrive here in 2014, but delays pushed that back year after year. 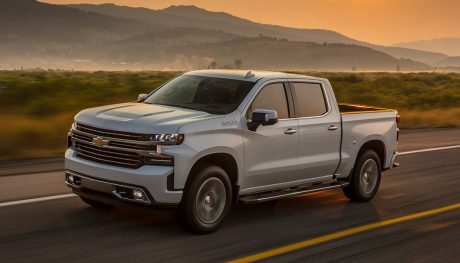 European sales started in 2013, but North American sales didn’t start until the 2018 model year right at the very end of 2017. Partly capacity issues, partly regulatory issues, partly that it was selling like hotcakes in the markets that already had it. But that’s pretty late for a new vehicle to show up. 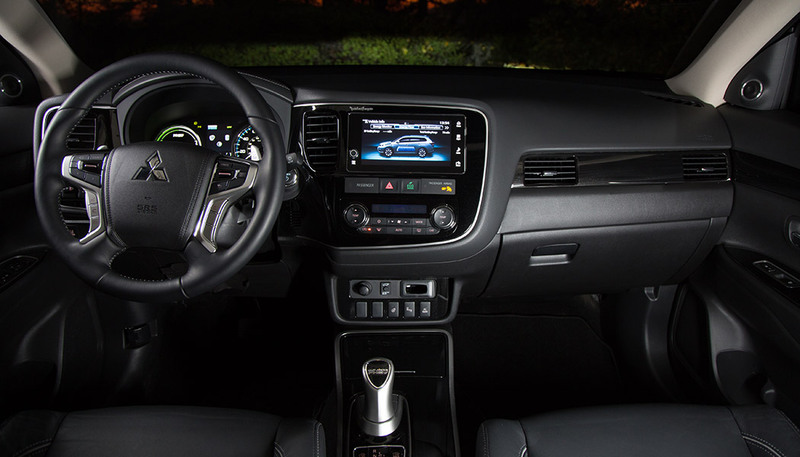 Mitsubishi did make some changes to the base Outlander on which the PHEV is built, but those were very minor styling changes for 2015 and 2018, and a new headliner in 2015. That’s left the newly-arriving model feeling a bit dated inside. The controls are mostly large buttons. The climate control and drive modes, as well as the extra audio controls on the steering wheel, are all massive. That makes them easy to use and see with a minimum of taking your eyes off the road. The gearshift, especially the park button placed ahead of it, takes a bit of getting used to. That said, many of those buttons, especially the turn signal and wiper stalk feel like they’re from a previous generation. Like you need to be worried about breaking them during use. They likely won’t break, but this is Mitsubishi’s most expensive vehicle. This switchgear doesn’t quite cut it. To add the plug-in powertrain to the Mitsubishi Outlander PHEV, there are some sacrifices necessary. The most prominent being the third row of seating. That, along with a couple gallons of fuel capacity are gone in the name of fitting that battery pack and the rear motor. 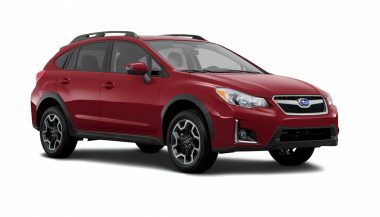 While three-row crossovers are popular, the loss of that small seating space is probably of little consequence to most buyers, especially compared with the fuel savings. On the road, the Outlander is quiet. That’s thanks to some extra sound deadening that came with one of the refreshes. Engine noise is non-existent most of the time, because it’s shut off. All you hear is some tire noise, some wind noise, and the hum of the electrics. When the engine does come on strong, it can drone somewhat. Though that’s likely because after the silence that came before it, it’s a bit of a surprise. 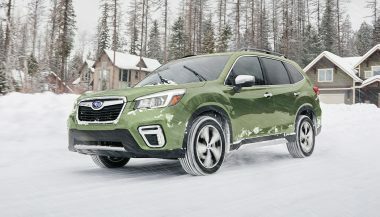 The extra tech adds about 565 lbs compared with the V6 AWD model, and that does give the ride a little more floatiness. But it’s definitely comfortable for a crossover in this segment. It’s not going to carve corners, but nobody would expect it to. There are multiple drive modes for the hybrid system. You can leave it in EV mode, where it will stay as an electric until you floor the accelerator or run down the battery. Battery save will hold the state of charge, in case you want to sneak up on somebody in EV-mode later. Or save it for upcoming heavy traffic. Finally, pick charge mode if you want to top the battery up. It’ll run the engine continuously to do it. Those paddles behind the steering wheel control regenerative braking instead of gears. Toggle the + paddle and it will regen harder. The control is useful for maintaining speed on a downhill or recovering some energy as you head toward a stop light. 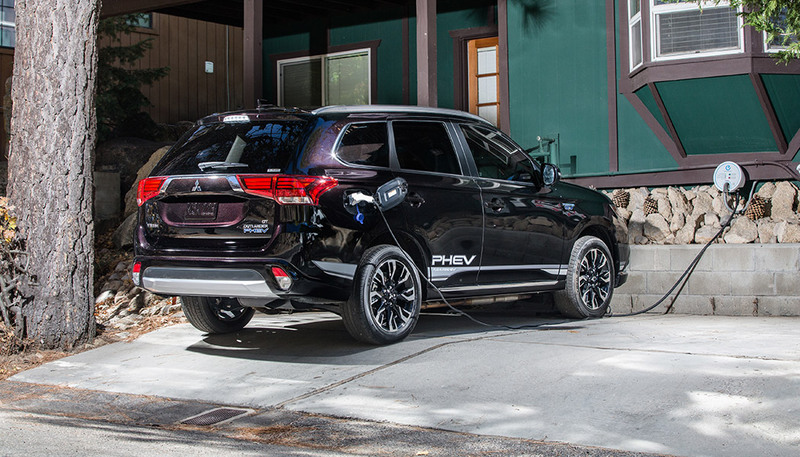 So does the Mitsubishi Outlander PHEV earn its sport as the top plug-in crossover? Yes and no. This is an excellent driveline. The transitions between power methods are as smooth as just about any other vehicle. It’s also the only crossover that can put a plug-in in a relatively affordable package. Those things considered, it’s not much of a surprise it’s a sales success. It’s just held back by a few interior issues. Ones you likely won’t mind the next time you look at your gas bill. 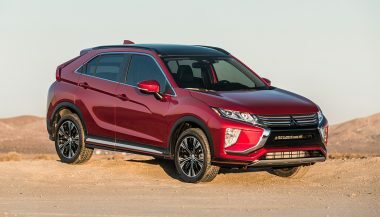 The 2018 Mitsubishi Eclipse Cross is a crossover that targets the heart of the most rapidly-growing segment in today’s market, the Compact Utility Vehicle! SUVs have a bad rap for being gas guzzlers, but technology and design are changing that. 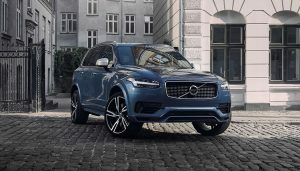 If you're looking for the most fuel efficient SUV, read on.